Washington Evening Star, 22 December 1917, p. 7. Washington Evening Star, 22 December 1917, p. 14. 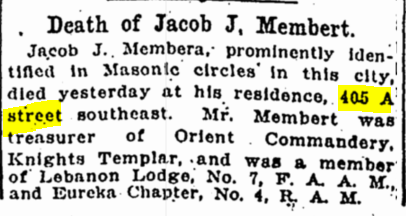 Washington Evening Star, 29 February 1933, p. 7. 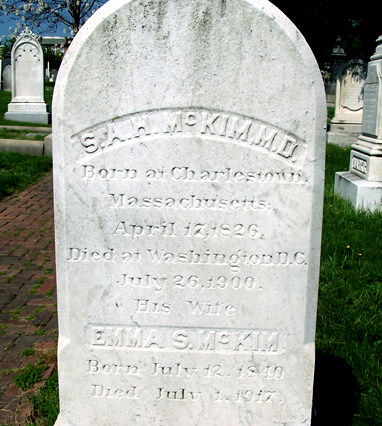 Dr. McKim, a physician in Washington, D.C., testified in the Lincoln Conspiracy Trial in defense of David Herold whom he had known since he was a boy and was a friend of his family. Dr. McKim stated in trial that he believed that Herold might not have fully understood what he had done, that he was immature and unreliable, and would not trust him to deliver medicine to any of his patients for fear that Herold may tamper with the medicine. He also stated that Herold’s intelligence was that of an eleven year old. “Deaths.” Washington Evening Star, 25 September 1950, p. 11. Washington Evening Star, 31 December 1925, p. 3. 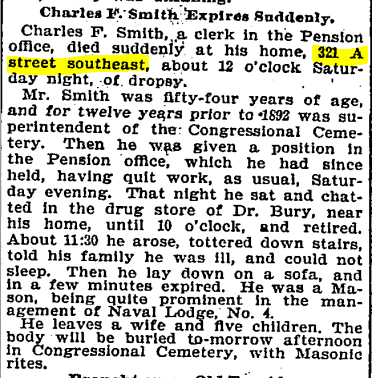 Washington Post, 1 October 1894, p. 2.